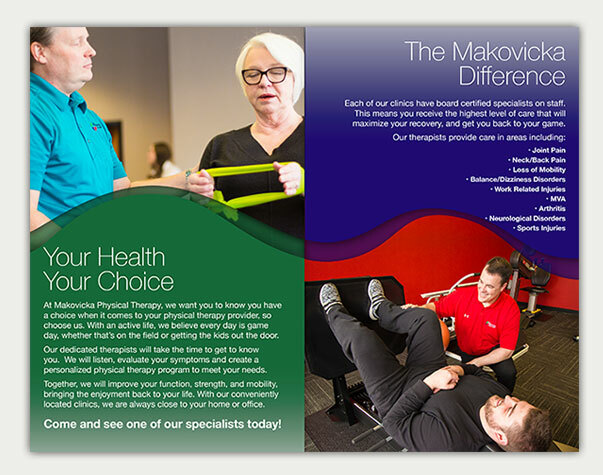 Set up by retired NFL and college football player Joel Makovicka, Makovicka Physical Therapy is run by physical therapists who forge relationships with patients and advocate for their care. Milk & Sugar Design was commissioned to create a pamphlet outlining their current services at up-coming events. The brief was to incorporate as much of the Mackovicka logo branding within the design as possible, while still maintaining a fresh and dynamic feel. 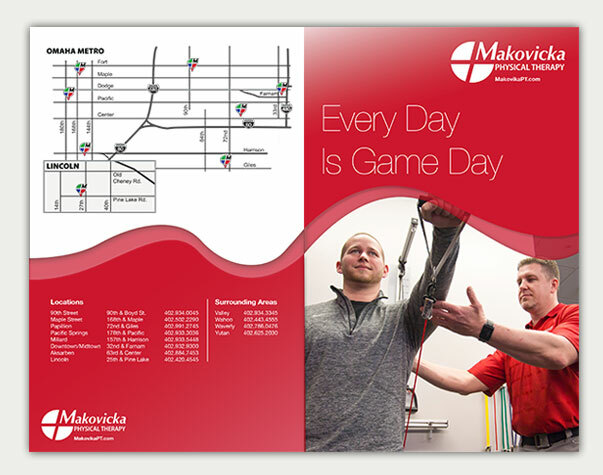 As well as the Makovicka brand colors being used as section backgrounds, the flowing divider demonstrates the continuity between the staff and client in their service. 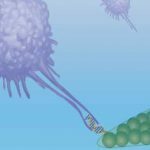 The pamphlet is designed to 8.5″ high and 11″ wide, in its unfolded state.